It’s June 1976 and Mrs Creasy has gone missing. Grace and Tilly decide they will spend their summer trying to find her. They intend to do that by finding God, after all, he is everywhere and looks after everyone. If anyone can bring Mrs Creasy back it would be him. A number of the neighbours have been keeping secrets and it seems that Mrs Creasy may have been a bit too close to finding out the truth just before she disappeared. The girls start visiting the various houses on the street in the hope they can help bring her home. Grace and Tilly’s investigations aren’t as centre stage as I would have expected. They are used to help the reader explore the secrets of their neighbours and gradually everything develops until the reader knows the whole truth. This could have been done in flashbacks without the two girls, but their friendship and naivety contrasted with the long held secrets of the adults on the avenue. I liked the way the secrets were revealed and the reader is allowed to understand each of the residents. None of the characters are particularly likeable, but you certainly don’t hate them either. They are written in such a way to make them believable but also stick with you after the book has finished. 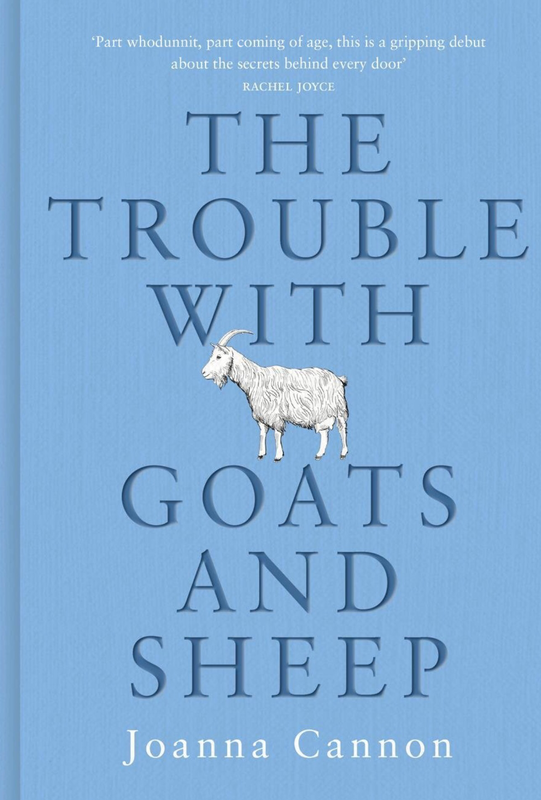 The Trouble with Goats and Sheep is out now in the UK and USA. Get the book here Amazon.co.uk and Amazon.com. I’ve not heard of this but I intend to read it. Sounds great!